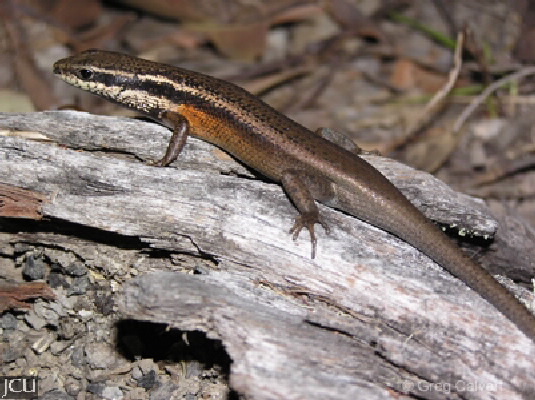 This skink is found in woodlands north from about Townsville but not found in rainforests. Body is brown with some flecks or darker spots, the head varies from grey-brown to olive-brown. Extending from the head to the forelimb and along part of the upper margin of the flank there is a black stripe bordered with white. Flanks are usually rusty-brown. Four fingers per forelimb, 5 toes per hindlimb.